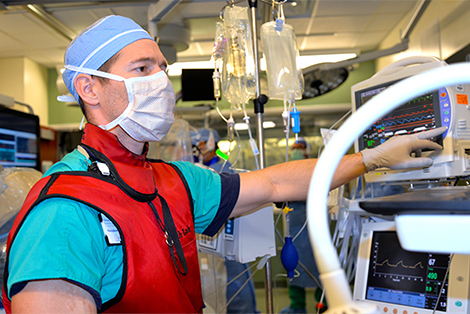 Welcome to the University of Florida College of Medicine – Jacksonville Department of Anesthesiology. The department provides professional services at UF Health Jacksonville, an academic health center serving Northeast Florida and Southeast Georgia, and UF Health North, as well as at the University of Florida Health Proton Therapy Institute. The information contained on these pages is designed to provide a comprehensive view of our department and contact information to answer any additional questions. Thank you for your interest in our department and we hope you find our website interesting and informative.